I extended this shot as it will be panning down from the sky. The clouds, like in all the other backgrounds are just photos, I added the plane just to help fill the frame. 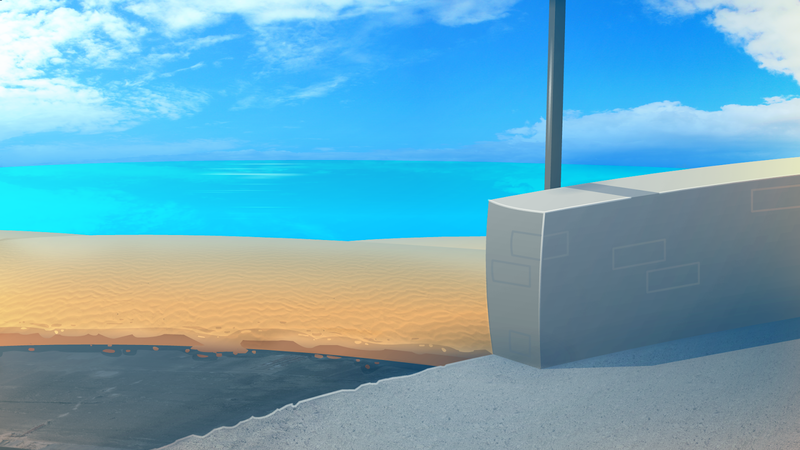 I also changed the grass to sand, as it is on a beach, and I'm not sure why I drew grass in the first place. 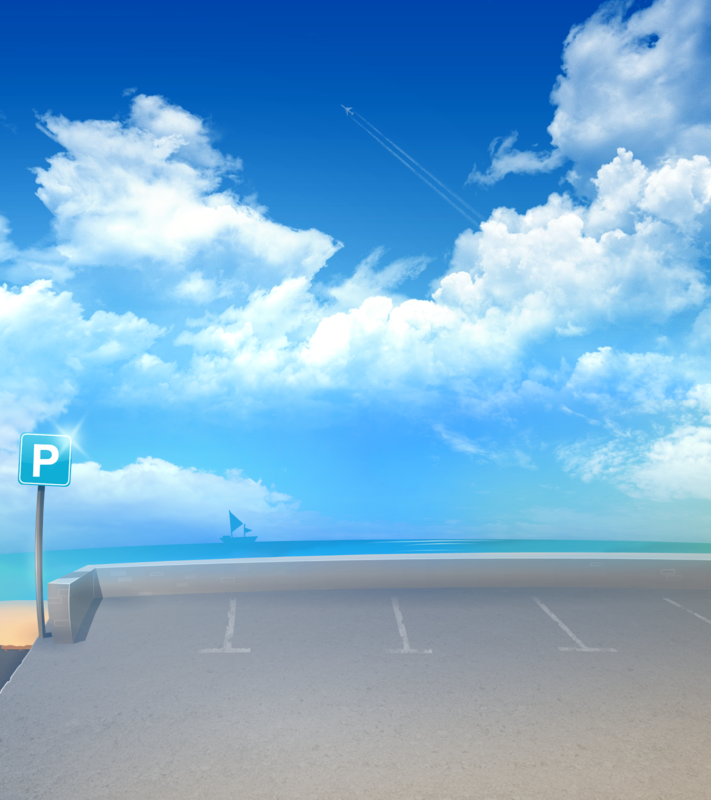 This is a different angle of the same car park, where the main character will be walking back to his car.